Meet your guide and driver at the airport, and then transfer to the hotel. The rest of the day is at leisure. 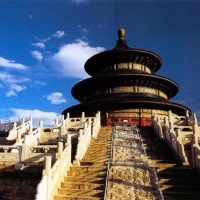 Today, you will have a full-day tour of Tiananmen Square, Forbidden City and Temple of Heaven. In the evening, experience local culture at the Beijing Opera, including a behind-the-scenes look at the colorful make-up being applied to the performers. 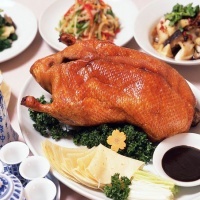 Beijing Roast Duck for dinner. After breakfast, take your private car (about 1 hour drive) to visit the Mutianyu Great Wall. Then lunch at a local restaurant, and drive straight to visit the Sacred Way and the Dingling Tomb (one of the 13 Ming Tombs). Beijing hot pot for your dinner. Morning enjoy sightseeing tour of Summer Palace. After lunch fly to Xi'an. Meet your guide at Xi'an Xianyang International Airport and transfer to the hotel. The rest of the day is at leisure. 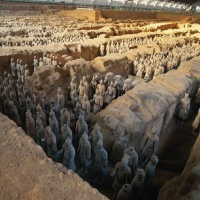 Have a full day tour of Terra Cotta Warriors and Horses Museum, Shuyuanmen Market and the Big Wild Goose Pagoda. In the Evening, you will enjoy a delicious dumpling (Jiaozi) dinner with the wonderful Tang Dynasty Music and Dance Show at the Shaanxi Grand Opera House. Full-day tour of Shaanxi Provincial History Museum, the Bell Tower, Muslim Quarters and the Ancient City Wall. Be escorted to the airport for the flight to Chengdu. Meet your guide and driver at the airport, and then transfer to the hotel. The rest of the day is at leisure. Morning attend the cooking course at 09:00 - 11:30. 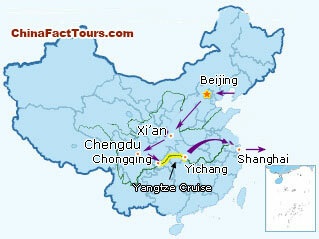 During the class, you will learn some theoretical knoledge about two Sichuan courses. The teaching contents will inculde their seasonings and cooking methods etc.. Enjoy lunch at the students' dining hall. Practice to making the two courses at 14:00 - 17:00. The teacher will guide and make comments on your dishes. End the class, and then enjoy Sichuan flavor dinner at a famous local restaurant. Morning attend the cooking course at 09:00 - 11:30. During the class, you will learn some theoretical knoledge about another two Sichuan courses. Have lunch at the students' dining hall. Practice to making the two courses at 14:00 - 17:00. The teacher will guide and make some comments on your dishes. End the cooking course and transfer to a local famous restaurant, where you will wear a uniform to observe the chefs how to cook Sichuan food. Enjoy dinner at the restaurant. 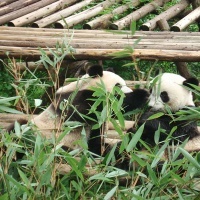 Morning pay a visit to the Chengdu Research Base of Giant Panda Breeding, and then transfer to Leshan. After lunch, proceed to visit the Lingyun Temple, Jiuqu Zhandao (a steepy plank road built along a cliff reaching to the feet of the Giant Buddha) and the Giant Buddha. Later drive back to Chengdu. In the evening, watch the wonderful face-changing show. After breakfast, be escorted to the train station for the train (No. D5106) to Chongqing. Be picked up to board a 4-star Yangtze cruise ship. Taiji boxing at 6:30 (if you like you can join it), coffee and tea are free in the bar. After breakfast, you will attend a meeting to listen to the introduction about the itinerary and the ship's facilities. When reach Fengdu in the afternoon, you will have a shore excursion to this legendary ghost city where you will see many Taoist Temples and experience the mysterious Chinese ghost culture. 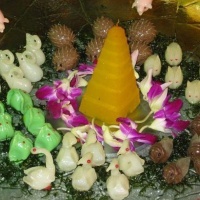 After dinner, take part in a welcome party. Cruise through the Qutang Gorge -- a grand gorge flanked by steep mossy cliffs. Then, sail on through Wu Gorge, celebrated for its 12 peaks. At Badong, transfer to a small cruiser for an exciting excursion to Shennong Stream or Lesser Three Gores based on different cruise programs. 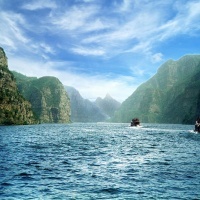 Next, sail through the breathtaking Xiling Gorge, the last and most scenic of all the gorges. Finally, pass through the giant Three Gorges Ship Lock. After dinner take part in a party. This morning, you will stop at Sandouping to view the largest hydroelectric project in the world --Three Gorges Dam. It is noted for the Great Wall across the Yangtze River in China. Proceed to Yichang where you will disembark. When arrive, you will be picked up to the airport for the flight to Shanghai. Be met and transferred to the hotel. 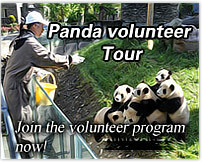 Full-day sightseeing of Yu Garden, Yuyuan Market, Oriental Pearl TV Tower and the former French Concession - Xintiandi. In the evening watch acrobatics show at a local Theatre. Famous Shanghai cuisines for your dinner. Drive about 1.5 hours to Zhouzhuang Water Village to see the Shen Family Residence, Zhang Family Residence, the Mi Tower, and then have a river cruise through the village. Drive back to your hotel. 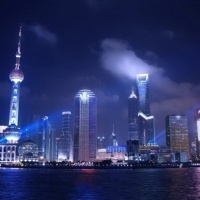 Be free until your local guide escorts you to the Shanghai Pudong International Airport for your homebound flight. ·Hotel Accomodation-the hotel accommodation is based on two persons sharing one twin room with private facilities. ·All transportation, transfers and tours with private guide and car, train or van in each destination. 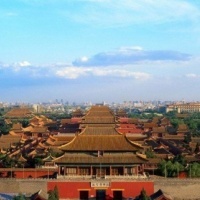 ·All the admission tickets, English speaking guide service. ·Daily breakfast at the hotel, Chinese lunch and dinner with one cup of soft drink are offered outside the hotel or as specified in the itinerary. ·Charge of obtaining your visa to enter China. ·Gratitude to guide and driver is not included. ·Expenses of a personal nature such as laundry, drinks, telex, optional activities or sightseeing, telephone calls or overweight baggage charges or meals not indicated etc. i am from isreal i am planning to visit china tour package with my patner .i am nepali and she is isreali what should we do?